Spectacular 360 degree views of uninterrupted mountain and city because of its impressive location high on a hill. Rare find being the LAST 20 Acres in the heart of the foothills! Ideal project for any builder. Located off of prestigious Hacienda Del Sol Rd and surrounded by million dollar homes. Easy access to River Rd, hospitals, downtown and the U of A. These 20 acres would be perfect for a subdivision consisting of 20 $1 million homes. Lots are CR-1 zoned. Must see this land in person to truly appreciate how high it sits and the unparalleled views in every direction! Easily profitable for any builder due to its variety of uses. 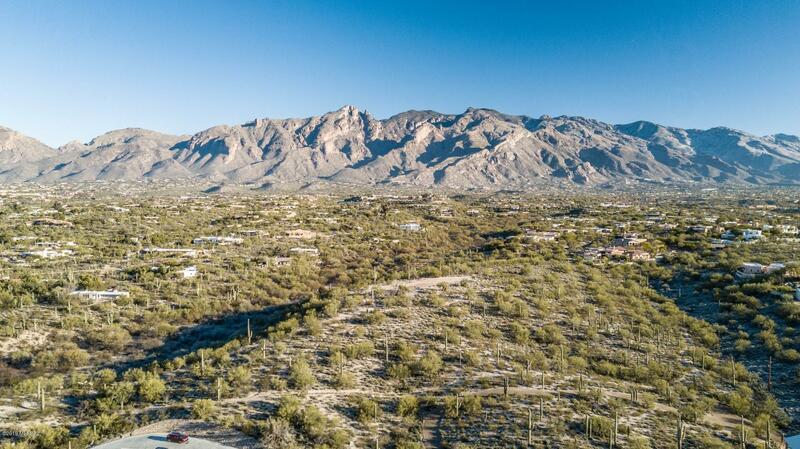 Extraordinary opportunity to purchase this much land in Tucson's most desired location! Directions - River Road/Hacienda Del Sol-N, Camino Antonio-W to end of street.